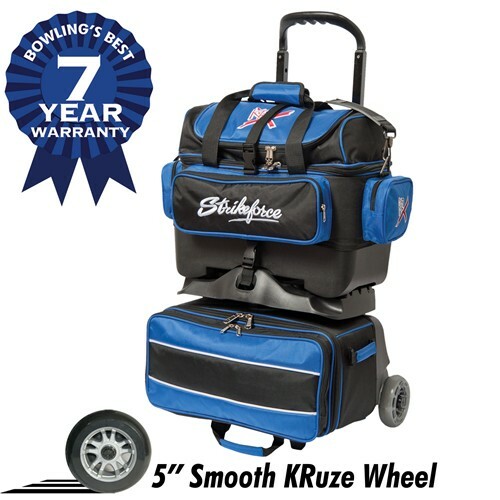 Wheels: 5" Smooth KRuze urethane wheels with steel bearings are tough and provide a quiet smooth ride. Fabric: KR Armor - 1680D Ballistic fabric was created by DuPont Corporation for flack jackets. this material is non-abrasive and tear-resistant. 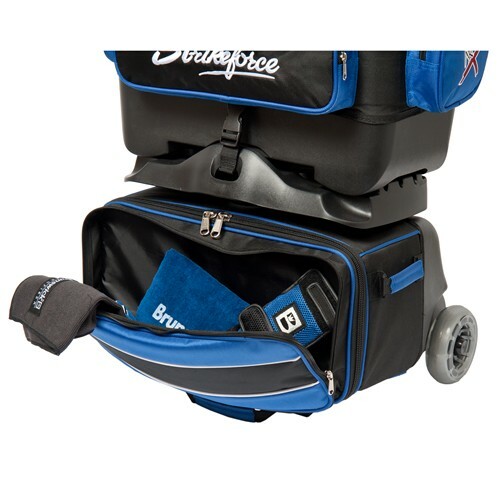 Top bag removes to fully function as a 2 ball tote. Easy loading front loading design on bottom bag. 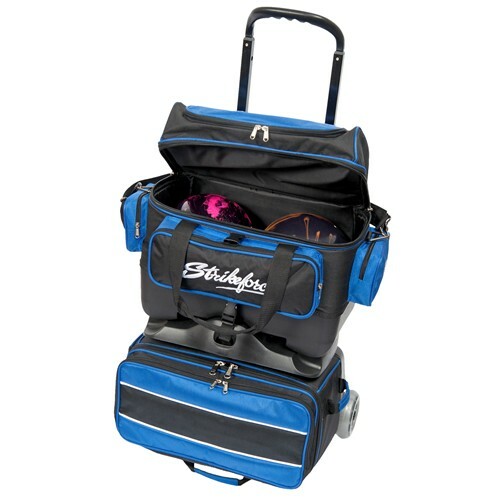 Accessory Pocket: Large front pockets on top and bottom bags. YKK luggage zippers are the most durable and guaranteed to not break. Hello Ambet! No, we do not sell the parts for that. If you want, you can contact KR and see if they have what you need to do that. 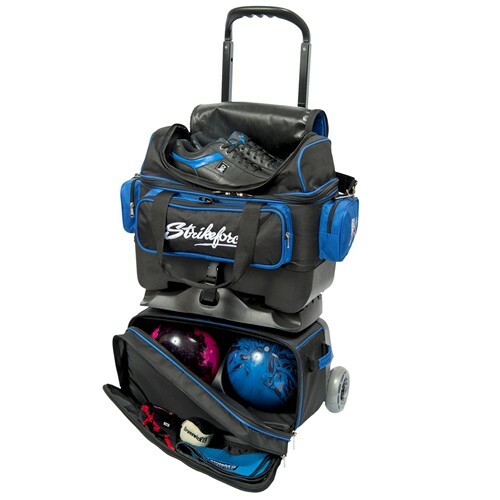 Due to the time it takes to produce the KR Strikeforce Royal Flush 4 Ball Roller ball it will ship in immediately. We cannot ship this ball outside the United States.